What Arab Emirs once, with pride, called Wadi al Kabir, the Great River, is today known as the Guadalquivir. It flows for six hundred and fifty kilometers before arriving at its union with the Atlantic Ocean in the salt marshes of Doñana, the greatest European paradise of wildlife. From the high snowed mountain tops of Cazorla to the sands of the National Park of Doñana, great stories have been set in these areas – and this is yet another one of them. 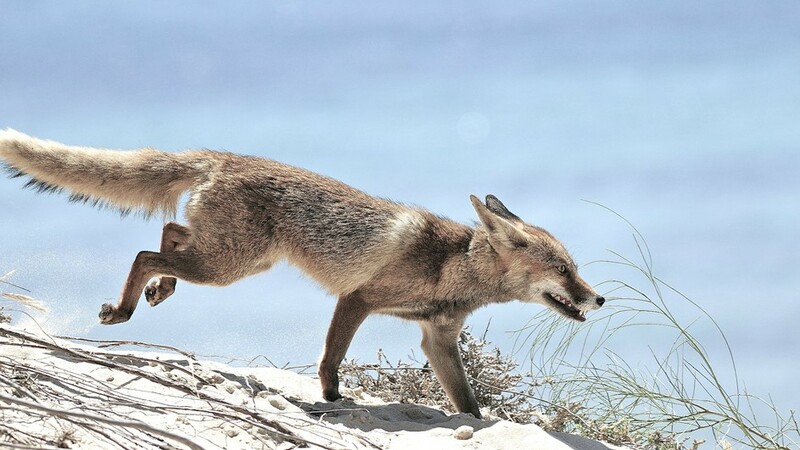 The main character of this film is the fox – it can be carnivorous, vegetarian or a scavenger. It lives alone or with others, has the stealth of a cat and the slyness of a wolf. Furthermore, it has no respect for the rules of the field, a real survivor as well as the triumph of the natural economy, and it meets all the requirements to be the main character of our trip along the great river. Our fox is the sole survivor of a troop which had all been killed by a poisoned carcass. After witnessing its companions die, instinct told the fox it must leave, that its territory was not safe anymore. Not only our fox, following the riverbanks heading south to a safer surrounding, but also the viewer, discovers many more animals along the way: a golden eagle, king of the mountain, which considers foxes as part of its regular diet; the spider crab, camouflaged inside a flower, relentlessly hunting insects; rats, frogs and even the genet, having been introduced from Northern Africa to Europe, are lining the way. The river is rich with dragonflies and poses many mysteries: sturgeons, prehistoric giants, used to live in it – and suddenly disappeared. A similar fate could await the Spanish toothcarp, which is already under high risk of becoming extinct. The Doñana salt marshes are alive with birds. As the black terns feed their chicks, glossy ibises, purple swamphens, black-winged stilts and spoonbills also fill this magical space in which flamingos take the main spot. Close to the salt marsh, hiding in the surrounding vegetation, hides the most endangered feline in the world – and the fox’s worst enemy: the Iberian lynx. Together with the fox we will embark on a journey from the snow-covered summits of Cazorla to the seashore, where the Guadalquivir flows into the Atlantic Ocean. Read some personal impressions and thoughts on the production in our article: ‘Behind the Scenes: Guadalquivir – The great River’, written by producer José María Morales.